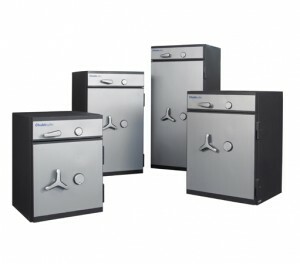 Deposit safes are ideal in many situations. They have many advantages over a traditional safe, the main one being that the door of the safe does not have to be opened in order to place something inside. Frequently used in the retail and banking trade, they allow counter staff to quickly secure takings from the till, which only authorized personnel with the safe’s key or PIN code can then access. This improves security by reducing the amount of cash in a till at any one time. It also reduces the risk of till skimming. Meanwhile, your staff’s personal security is also improved, as they cannot be forced to open the safe. 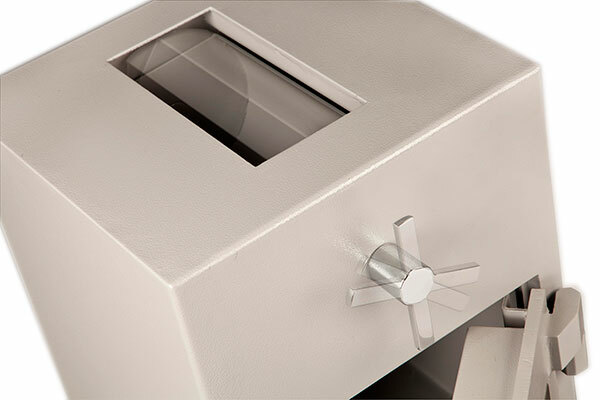 Slot Deposit Safes: These have a letterbox-style slot through which deposits can be made. They are quick and easy to use and are great for depositing cash, envelopes or small items. Drawer Deposit Safes: These feature a deposit drawer into which items are placed. When the drawer is closed, the items drop into the safe below. These can generally accommodate larger deposits than a slot deposit safe. Rotary/Drum Deposit Safes: Also called a rolltop, this type of deposit mechanism features a rotating drum or bucket with an opening into which deposits are placed. The bucket is then rotated and deposits drop into the safe. The body of the drum acts as a lid, shielding the contents of the safe. Deposit Chute Safes: Most commonly seen on underfloor safes, chutes are designed to accept deposits in special plastic capsules. Deposit capsules are available in many different colours and can be easily labelled, so are ideal if you need to keep deposits separated inside the safe. 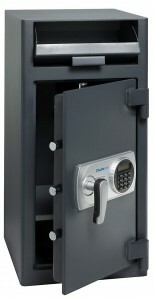 Deposit safes generally must incorporate special security features alongside their more traditional anti-theft abilities. A typical feature on almost all deposit safes is an anti-fishing device. This makes it practically impossible for items to be removed from the safe via the deposit mechanism. Like standard security safes, deposit safes may be tested to independent burglar resistance standards. Under the Eurograde system, there is a standard known as EN 1143-2, which is specifically for deposit safes and other deposit systems. It might also be referred to as EN 1143-2D or EN 1143-D2, with the “D” indicating “deposit”. The test itself is similar to the EN 1143-1 anti-burglar test. However, technicians also target the deposit system, using a variety of methods in an attempt to retrieve deposits. These include fishing attacks and attempts to force the mechanism with brute force. Deposit safes tested to EN 1143-2 are graded in the same way as standard Eurograde safes, and carry the same corresponding cash ratings. Some manufacturers supply deposit safes which are tested to the EN 1143-1 standard but are subsequently modified to include a deposit system. Modifying the safe in this way invalidates the EN 1143-1 certificate issued and may also reduce the level of security the safe provides. The deposit mechanism will not have been independently tested and any cash ratings given by the manufacturer will be guidelines only. The manufacturer should tell you if a safe has been modified in this way. If you are considering purchasing such a deposit safe, you should ALWAYS consult your insurance company first.